Commitment and hard work give us a social identity which allows us to play an active role in the community. Work is a form of self-expression. What we create tells people who we are, making us recognisable, presenting us to the world and characterising us as “social beings”. Man’s dignity finds its natural reward in work, in the production of things that are useful to society. All men, in the capacity as “social entities”, feel the pressing need to be part of a group and want to play an active role within it. Work allows men to express and identify themselves, to join forces and achieve their goals, occupying an active place in the world they live in. The Work and Solidarity Cooperative (CLS) is a structure that is run just like a factor, where the real social, and not just economic, sense of work and enterprise is practised every day. Work as an expression of personal ability and as an effort to overcome individual difficulties in a context where the exasperated need to emerge is replaced by a situation in which the more capable help and encourage the less capable. The stronger worker helps his weaker colleague, without losing the economic sense of work, i.e. 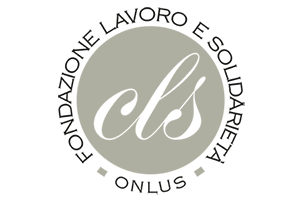 : the remuneration of the activity. This is the Cooperative’s primary activity. It is equipped with automatic machinery including flat platen presses, an auto-platen, flexographic plotter and staplers which make it particularly competitive for the supply of small and medium quantities and for special packaging. The entire structure is capable of transforming about four million square metres of corrugated card a year and its capacity for development is constantly opening up new markets, meaning that the activity’s growth potential and increased possibility to offer jobs to the disabled are very important. Moreover, the presence of experts and consultants within its organisation puts the Cooperative in a position to effectively help its consumers and to offer solutions to every packaging problem. The assembly and packing activity is important too. These activities aim to satisfy the most varied demands from the market: from the construction of displays to the assembly of industrial packaging. The factory currently occupies a surface area of 3,000 m2, 2,000 of which are indoors, and has 48 members of staff, 34 of whom are disabled. 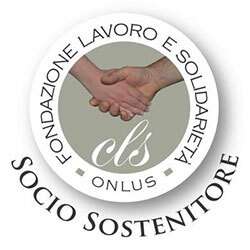 The Work and Solidarity Cooperative (CLS) aims to be a professional structure capable of meeting market demands by offering quality and a competitive edge, along with elasticity and a flexible approach to the customer’s requirements, thanks to years of consolidated experience, excellent capacity for development and, above all, a deep awareness that it is giving young people who are often discriminated against the chance to feel and to really live their dignity as men and women.